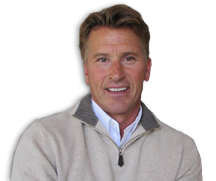 With over twenty-eight years of experience in Lake Tahoe real estate, Peter is a consummate professional in his field. With designations such as Certified Residential Specialist (CRS), Luxury Home Marketing Specialist (CLHMS), Peter has gone through the extensive training to sharpen his skills and achieve top producer status. During his successful career Peter has also been voted “Best Realtor” in 2002 by a Tahoe Daily Tribune poll and a recipient of the Five Star Professional Award featured in Sacramento Magazine. Five Star Professionals, regarded as “Top” in their field, are identified within the market as satisfying objective criteria associated with providing quality service to clients. Peter’s training and years of experience have provided him with a strong understanding of the nuances in the marketplace. He attributes his success as a realtor not only to his hard work and experience but also to the long lasting personal relationships that he develops with his clients. It is truly the backbone to building repeat and referral business. A native of upstate New York, Peter moved to Lake Tahoe over thirty years ago. Inspired by the beauty of the lake and mountains, he has felt at home ever since. When not working Peter spends his time golfing, skiing, snow shoeing, boating and enjoying the company of friends, family, his wife Laura and their dog Rudy. Specializing in waterfront properties with most of his focus on the wonderful community of Tahoe Keys, he invites you to contact him today or visit his website peterdelilli.com. Hope to hear from you soon!